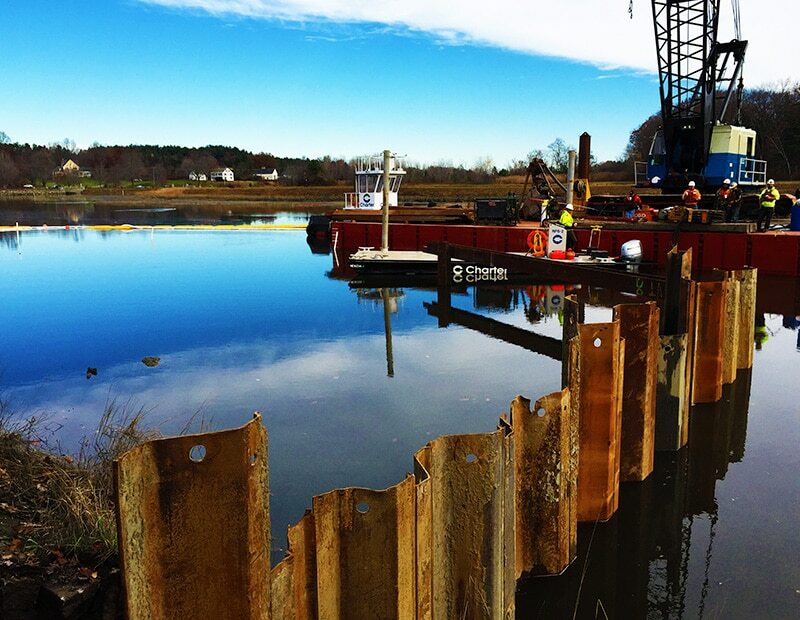 Charter was contracted by Unitil to perform the MGP sediment remediation in the Squamscott River along the high-traffic community space of Swasey Parkway in Exeter, NH. The area is near a storm water outfall that had been impacted by the operations of a Manufactured Gas Plant (MGP) that had operated between 1864 and 1955 by providing fuel for lighting and heating to Exeter. 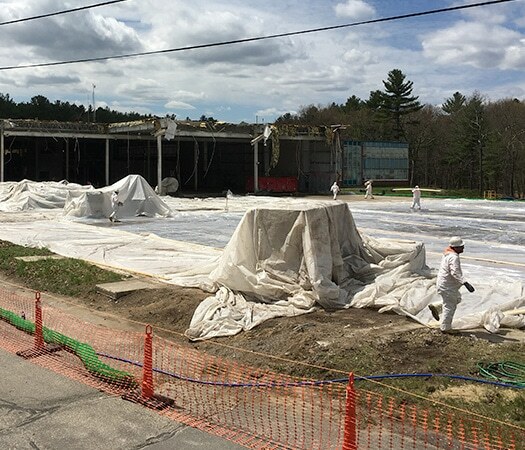 The former MGP site had left behind various MGP chemicals which included coal tar non-aqueous phase liquid (NAPL), polycyclic aromatic hydrocarbons (PAHs), and volatile organic compounds (VOCs). 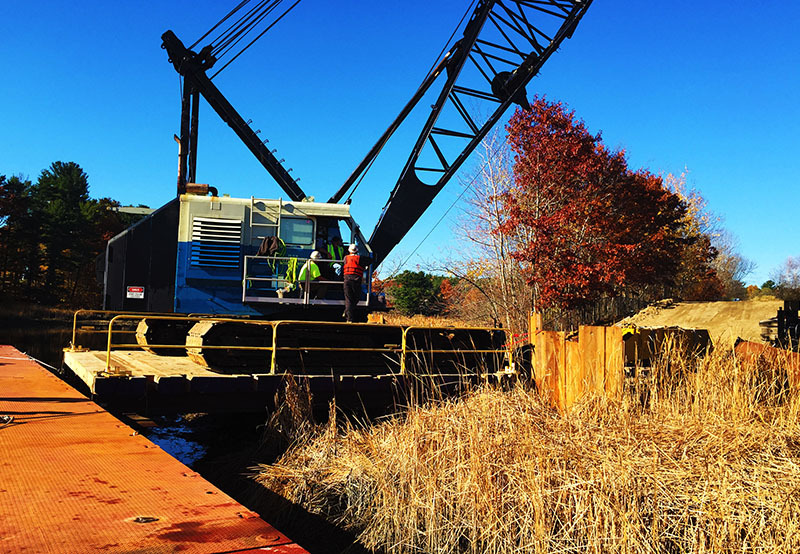 Due to limited access and schedule constraints, Charter delivered fast-track design-build project execution and to limit the disruption to the parkway and nearby residents, all of the restoration work was conducted by working with equipment on barges in the river. 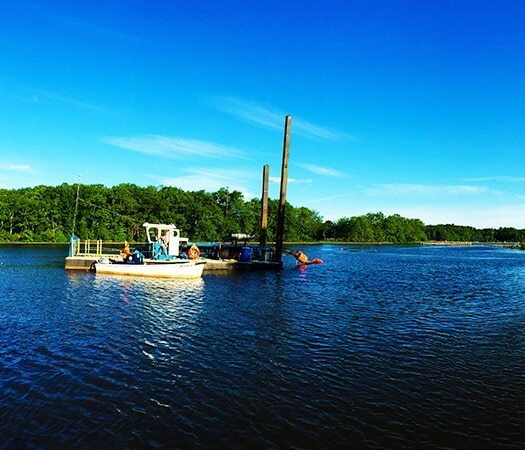 Charter accomplished fast-tracked MGP sediment remediation by creating a set of strategies and sequencing to accomplish the sediment excavation on-time while managing tidal fluctuations, permit restrictions, and weather conditions. 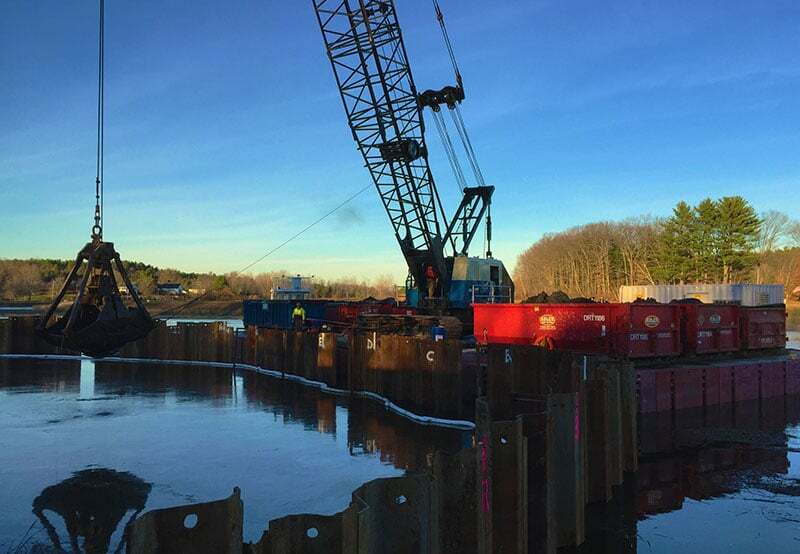 Working 6 days per week to help meet the time constraints of the project, Charter installed a temporary sheetpile cofferdam and turbidity controls prior to dredging impacted sediments and pure product using a crane equipped with a clamshell bucket. 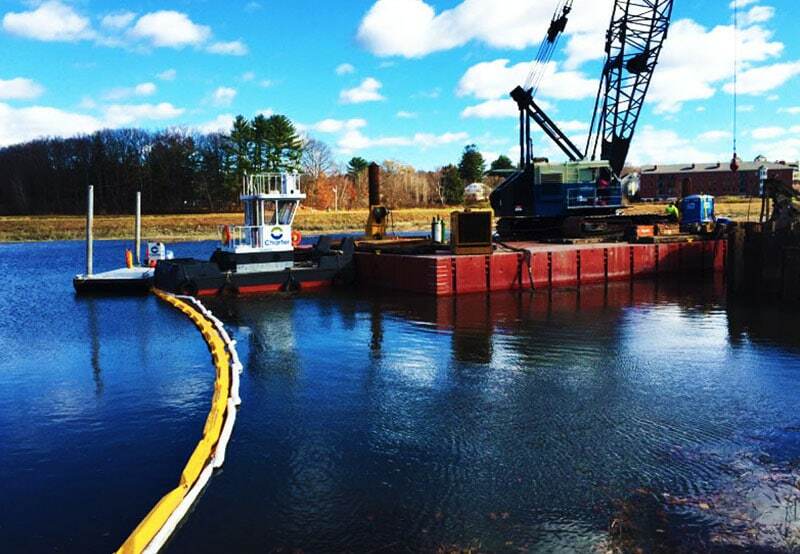 Dredge materials were barged to the facility owner’s property that served as the staging area for dewatering, rendering, and off-site disposal. 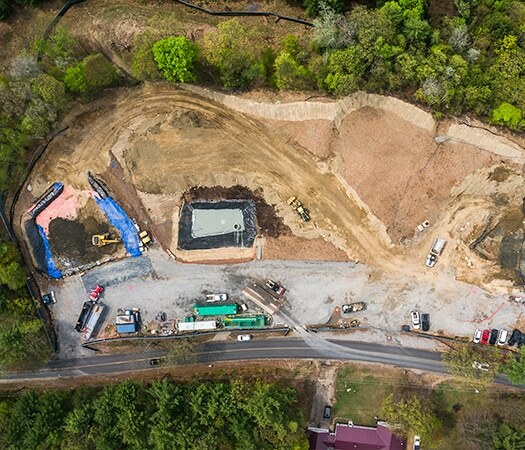 Charter designed and operated an on-site water treatment system to treat dewatering and decontamination water prior to discharge into an existing waste water lagoon. Restoration included placement of imported. 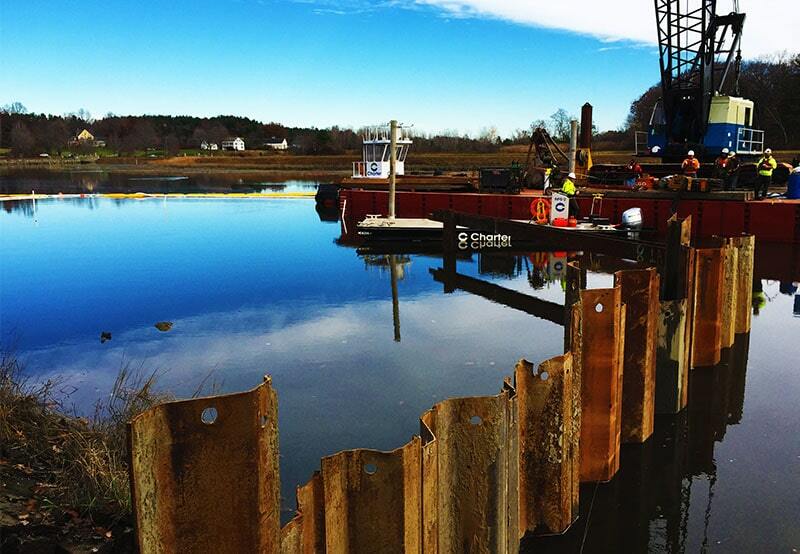 Favorite part of the job: "The Squamscot River project thus far has been my favorite project. It was challenging and had all of the elements that Charter does so well." With over 14 years of experience in the construction industry, Chris brings a wealth of project management experience to the Charter Team. Chris is hands-on with projects, often working on both estimating and project execution. Since the early 1900’s the Stiles Reservoir Dam has been plagued by numerous seepage problems leading to authorities ordering the reservoir levels to be kept low. This has impacted recreation use in and around the reservoir for decades.